Frank was a both a talented Solicitor Advocate and also a tenacious campaigner for the victims of injustice. He was the legal driving force behind two of the last three winners of the Public Campaign of the Year award at the Scottish Politician of the Year Awards - Clydeside Action on Asbestos in 2008 and the C.Diff Families for Justice in 2009 He was also the legal adviser to the Hepatitis C campaign were the runners-up in 2007 and the Stockilne Families campaign. Damages (Scotland) Act 1993 – This Act modernised, made fairer and clearer the criteria a Court should take into account and the basis upon which the Court should make an award of compensation to the relative of someone who dies through an accident, injury or disease. Social Security (Recovery of Benefits) Act 1997 – The state requires that any benefits paid to a victim of an accident must be repaid in the event of that victim securing compensation. Before the 1997 Act, the rules on repayment of these benefits could severely prejudice victims who ended up on long term benefits through an accident. 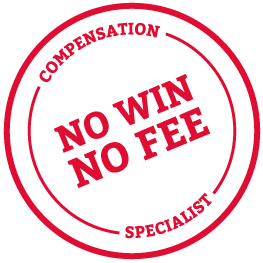 Often victims would receive next to nothing in compensation despite winning a high settlement. Frank and Thompsons Solicitors campaigned to change the system and the 1997 Act has resulted in a much fairer system where the wrongful party takes full responsibility for their actions and the victim receives fair compensation and is not penalised for receiving the state benefits to which they are entitled. Rights of Relatives to Damages (Mesothelioma) (Scotland) Act 2007 – Before this Act victims of asbestos exposure were faced with the heart-wrenching choice of seeking damages themselves while alive or not pursuing a claim so that their family could get the full compensation their family deserved. Frank was central to ensuring the Scottish Executive changed so that sufferers of this terrible cancer can get the financial help they need to ease their suffering while alive and their families can still get the support they need after their death. Penrose Public Inquiry into the transmission of Hepatitis C and HIV through infected NHS blood and blood products – Frank Maguire represented the Haemophilia Society and the victims infected with Hepatitis C in their campaign for a Public Inquiry. The campaign was a multi-faceted one using the courts and Scottish Parliament. The successful test case of Black and Kennedy v the Lord Advocate and Scottish Ministers (2008) and Frank’s appearance before the Health Committee of the Scottish Parliament were key factors in the Public Inquiry being announced. Damages (Scotland) (Asbestos-related conditions) Act 2009 – This Act over turned the much criticised House of Lords judgement in the case of Rothwell v Chemical and Insulating Company Limited and returned to victims of asbestos related Pleural Plaques the right receive redress through the courts. The insurance industry has challenged the Act in the courts and a decision of the UK Supreme Court is expected in October. Legal Services (Scotland) Act 2010 – This Act allowed for law firms to bring in outside capital and to be owned by non lawyers. The Bill originally was far too wide and was open to abuse. Working with various parties across the Parliament, Frank introduced an amendment which significantly improved the situation and made the position far safer for the public. This became part of the final legislation. Damages (Scotland) Act 2011- This Act overhauled the rules on the level of financial support that families are entitled to in law, through the compensation process, when a family member dies as a result of a wrongful death caused through accident, injury or disease. Before the Act, the law was completely out of date, based on a model from a by-gone era when families only had one bread winner, discriminating against modern families where both partners work. The Act ensures that families receive proper and full compensation when they need it most and will also ensure that that is without the need for unnecessarily long and distressing court cases. Court Dues – Frank was a strong believer in access to justice for all. With the STUC, Frank conducted a Petition before the Public Petitions Committee, made representations and gave evidence to the Scottish Parliament against the Scottish Government’s plans to withdraw public funding for the civil court system. The Petition is with the Committee and is currently being considered.